Kasper Holten's "thoughtul and attentive" (Telegraph) 2014 production of Mozart's drama returns to the Royal Opera House, starring Polish baritone, Marius Kwiecien. Holten, who transitioned from the Royal Danish Opera to become Director of Opera at the Royal Opera House, offers an interpretation of Mozart's Don Giovanni in which the protagonist is cast as an artist who seduces an endless stream of women. His catalogue of sexual conquests, made through his ability to create wonderful illusions, is a vain attempt to escape his own mortality and comes at a high price. 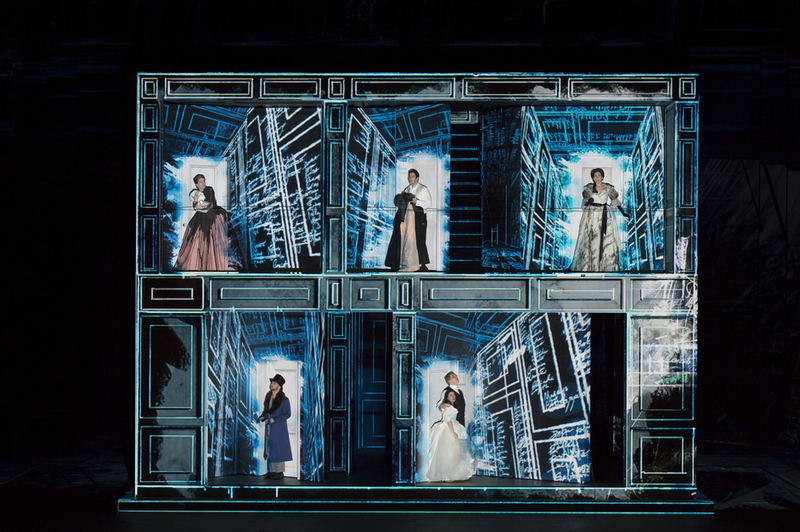 With set designs by Es Devlin (whose credits range from the 2012 Olympic Ceremony, to the award-winning Chimerica) and costume designs by Anja Vang Kragh (Stella McCartney, John Galliano, Christian Dior) this exciting, visual production is backed by an impressive creative team. What are the best dining options near Royal Opera: Don Giovanni London? Royal Opera: Don Giovanni gyms, sporting activities, health & beauty and fitness. The best pubs near London Royal Opera: Don Giovanni. Royal Opera: Don Giovanni clubs, bars, cabaret nights, casinos and interesting nightlife. Where to have your meeting, conference, exhibition, private dining or training course near Royal Opera: Don Giovanni. From cheap budget accommodation to luxury 5 star suites see our deals for Royal Opera House hotels, including Strand Palace Hotel London from 85% off.